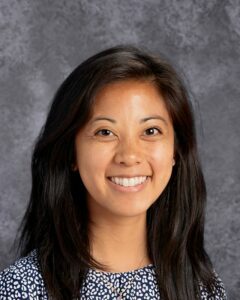 Alyssa Aninag comes to Cristo Rey de La Salle with a decade of experience in educational communities as an instructor, tutor, coach, and community organizer. Alyssa has primarily supported public schools and nonprofits that serve youth and families growing up in challenging social and economic circumstances, including schools in Stockton, California, Logan Heights and Linda Vista neighborhoods of San Diego, California, and most recently in the Tenderloin neighborhood of San Francisco, California. Raised in Stockton, California, Alyssa earned a bachelor’s degree in English Literature and bachelor’s degree in Communication Studies from the University of San Diego and a Masters of Fine Arts degree in creative writing from the University of San Francisco. Alyssa is driven by her passion to learn from and support students from underserved communities.